Discussion in 'iPhone and iPad Games' started by TouchArcade Bot, Nov 24, 2015.
ps. i really2 wish they add the mfi support. Not out in Japan, is it soft launch? Wow. What a nice surprise. A real gem this week!!! 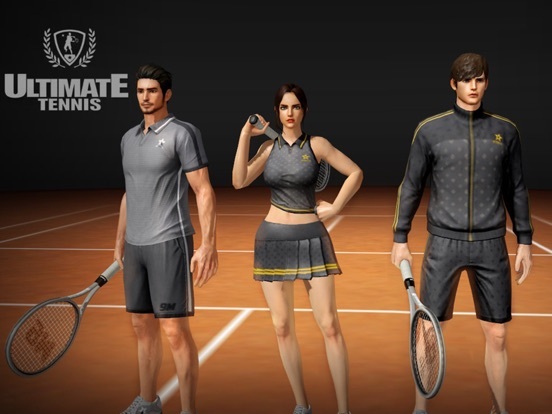 Tennis game with a proper rpg elements!!! Whats there not to like!?! It does have typical free2play elements such as timers and so on but so far these dont look too bad. Will play some more and revert with impressions. djstout - it's out in Australia. Not sure if it's a soft launch. Looks like it's soft launched, not available in Taiwan either. all the girls seem to be squatters in this game. YASSSS. 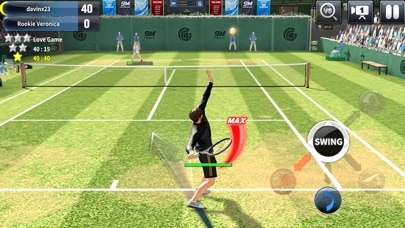 I needed a Tennis game!!! Out in any Asian country yet? Tried a couple accounts to no avail. Edit: just made a US itunes account w/o credit card to dl this. Is TP only available through buying & selling players? 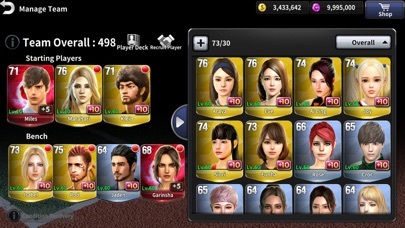 Looking to get a specific character, but prefer not to pay real $ for lottery. 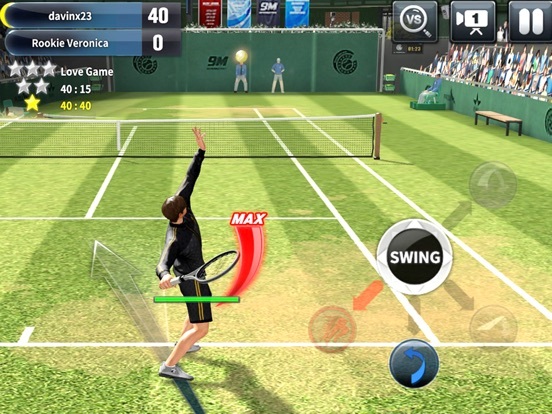 As a person who can't get enough playing actual tennis, I'm hoping this makes it to Japan soon. Ok guys im not a fan of freemium, but damn, this is one game thats staying on my device for a good while. 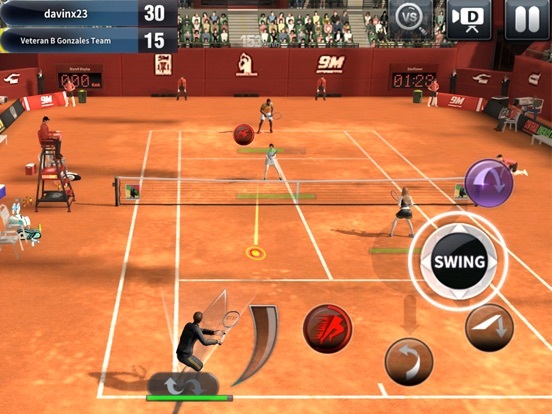 Best tennis sim i have played, the rpg elements are great the playability is great, and it slowly eases you in by adding moves to your arsenal and its gonna get deep. This has just released, and apparently in soft launch? But this already deserves to be one freemium that deserves top chart position. Im even happy to throw some money their way, i would say its a must download but whatever floats your boat. 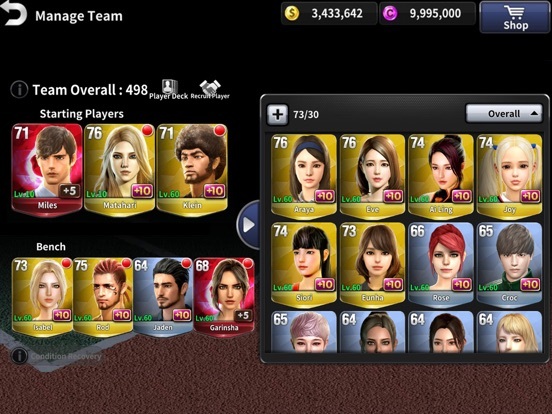 Unfortunatley hit a bug # the game made me do match mode online to get a reward...problem is noone is connecting, so its constantly failing to match me a player. As a result even if i shut the game down it grays out all other options untill match mode training is completed so it looks like i might have to uninstall and then reinstall just to get this going again! Shame as i was really getting into this.. I've had to stop there myself. It actually connects and starts a game but the lag is so putrid it's unplayable. 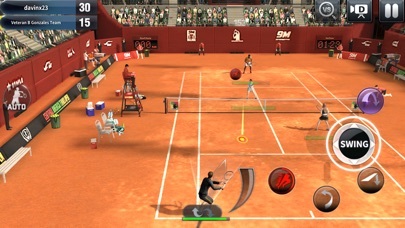 A ball isn't returned and yet you lose a point...you hit invisible balls...the player is on one side of the court (left) yet the ball is hit back from the right side of the court. Oh man, thanks for the heads up. What a shame as its a cracker of a game, one of the very few freemium games that i was really enjoying and wanting to spend money on, dammit! The 2 handed control style is annoying. Why does the left button keep getting dragged around the screen? Is there a way to 'recover conditioning' without using coins?